Everyone has sipped on a cup of beautiful tea, but have you truly experienced the visual magic of it? 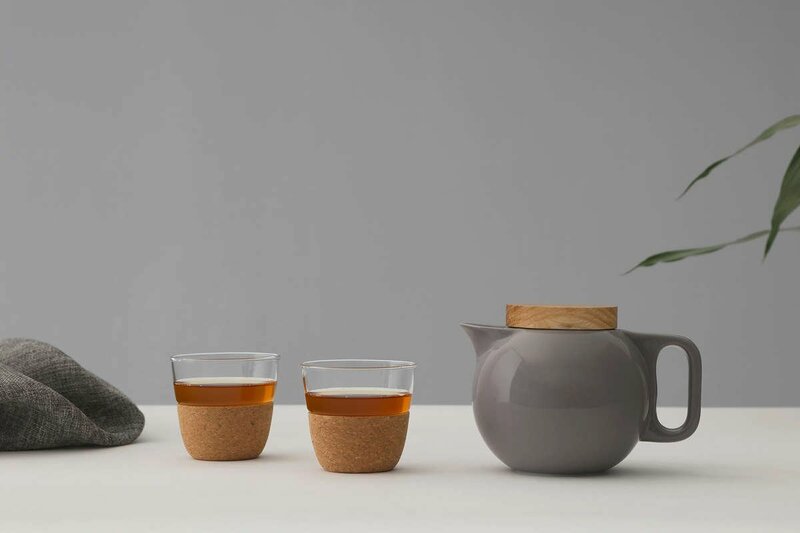 With the glass and cork Cortica tea cup, you’ll see your tea spring to life as it brews to complete perfection. Share the joy with this inviting set of two. Size: L: 8.0 cm - H: 7.5 cm - Vol: 0.20 L / 6.50 fl. oz. How many cups are in this set? Two beautiful tea cups come in this Cortica set. What are these cups made of? 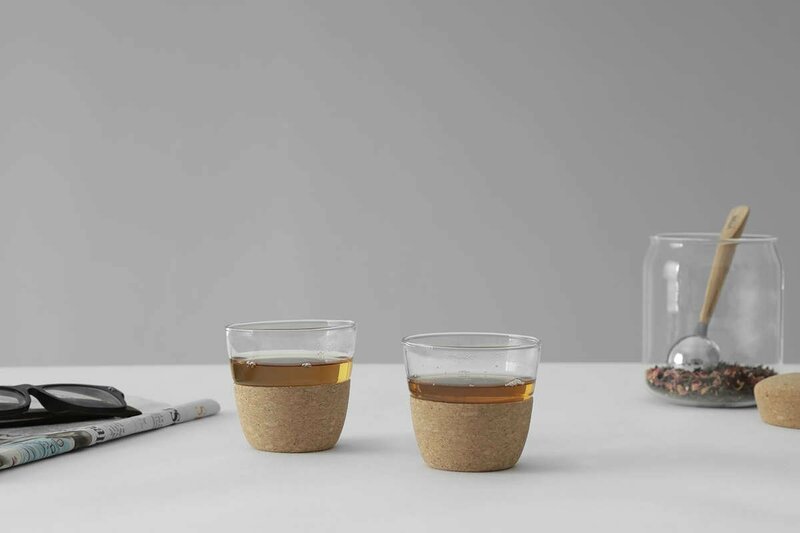 These cups are made is made of glass and cork. No, they aren’t. 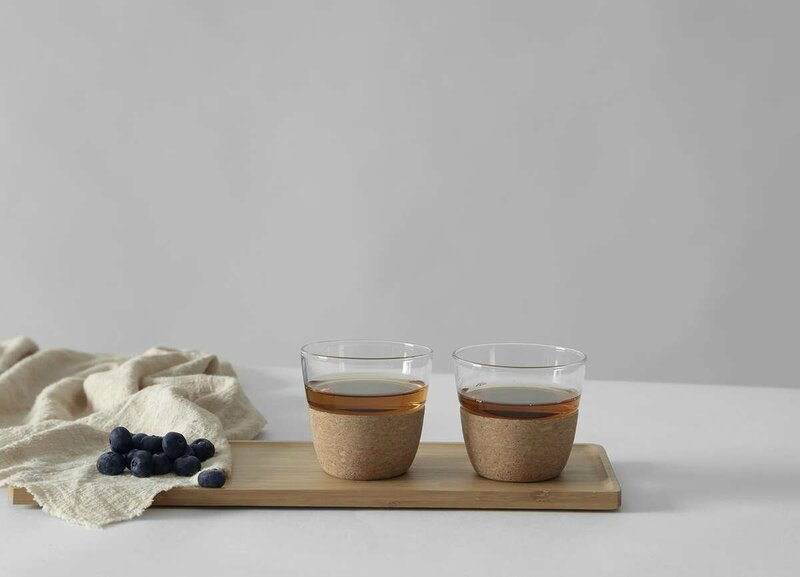 Due to the natural cork used in the Cortica cups, gentle handwashing is advised for cleaning. How big are these cups? The Cortica tea cup holds 200 ml of delicious tea, coffee or any other of your favourite hot drinks. Any of our infusers will work wonderfully in these mugs. The Infusion Tea Eggand the Infusion Tea Strainerwork particularly well.